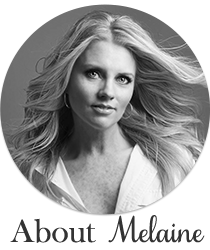 Pretties for you to look at today! 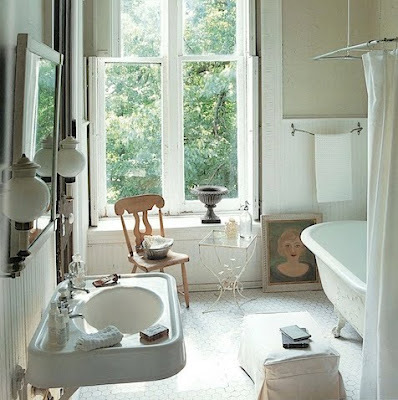 All images courtesy of Amy Butlers Found Style. 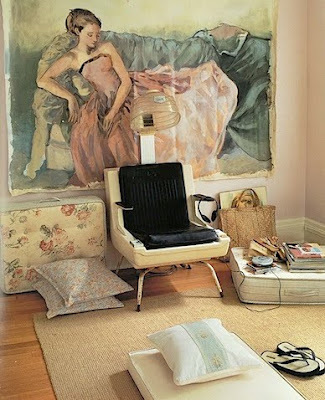 I adore all of these - the metal chairs, the little painting hidden by the tub - great shares!! So bright airy and clean! Love them all! 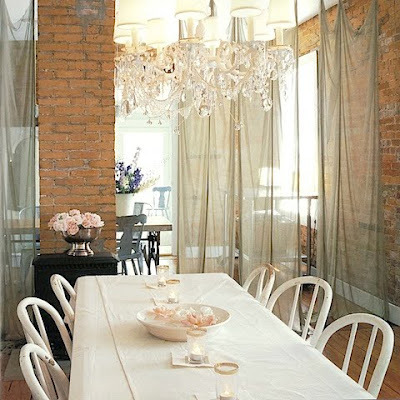 These are so inspiring for me...especially the tables because I am re-doing my farmhouse table right now. Beautiful images! Love the charming sources of inspiration! Beautiful pictures! 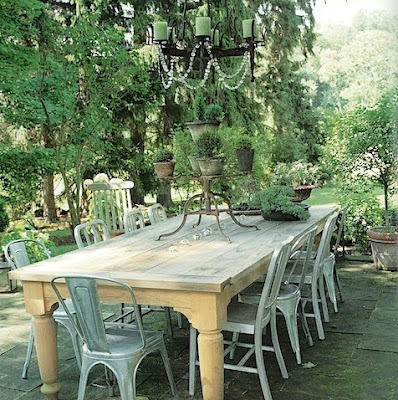 Love the table of cloches, love the metal chairs....not much I don't love! Ooh I adore the green bench in the white bedroom! 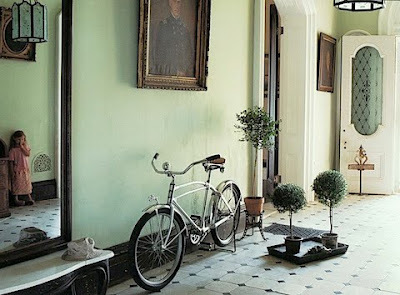 I am definitely going to paint something in my house green or turquoise this year! 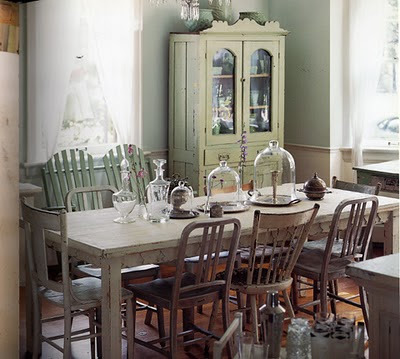 Great pictures...love the farmhouse table with mismatched chairs. Thanks for sharing. I would love to live in any of those rooms! So gorgeous!!! The brick walls are amazing with the chandeliers. Oh my goodness. Picture #1...LOVE IT!